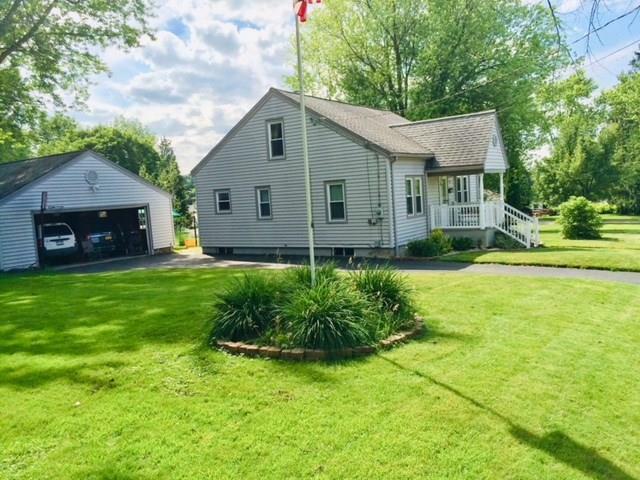 Turn key 3 bedroom 2 bath cape cod in the Allen park area! Exterior is low maintenance vinyl siding, vinyl windows, oversized 2 car garage, situated on an oversized lot. Kitchen has hardwood floors with new SS appliances. Large living room with decorative fireplace that opens to the formal dining room both currently carpeted but HW underneath. First floor bedroom with first floor full bathroom. Upstairs is two large kids room with huge closets! Full dry basement with another just remodeled full bathroom. Owners have replaced A/C And Furnance aprox 10 years ago. Solid Solid home at an attractive price, This deal won't last long! Directions To Property: Right By Allendale Look For The Kw Sign.